MISSISSAUGA, ONT. — Woodbine Entertainment has announced that EllisDon will be the development and construction partner for the new GO station that will be built on Woodbine property in the Highway 427/Rexdale Boulevard area of Toronto. EllisDon will lead the design and construction of the new transit hub and will assist in securing the financing required for the project. The company will also be involved in plans to participate in future development components of Woodbine Entertainment’s expansion for the property known as Woodbine Districts, said a recent statement. 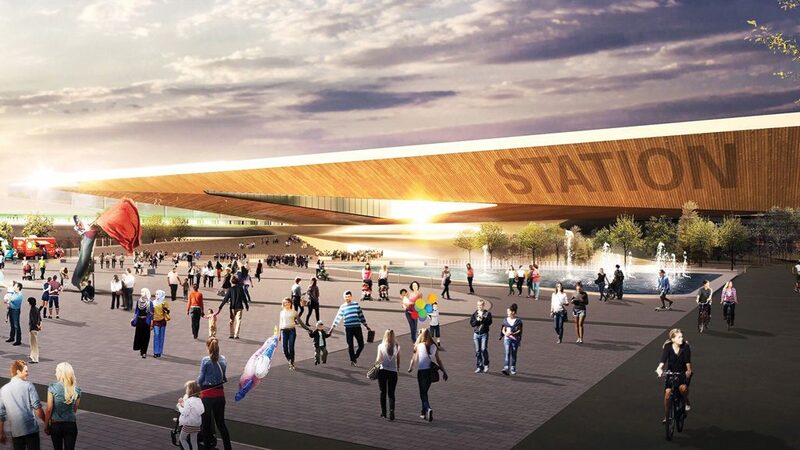 The Ontario Ministry of Transportation and Metrolinx, operator of GO transit, announced Woodbine was given the rights to build the new GO station on March 6. The new station will be located on the southeast corner of Woodbine’s property and will operate on the GO Kitchener line. Woodbine Districts will be a major commercial and employment hub that will include mixed-use residential, commercial space, sports and recreations facilities, parks and public space, a new casino, hotel, restaurants and a live entertainment venue.